Snowclone with songwriter Tero Aalto have been Home Composed regulars for many years now, and it’s good to see that 2018 is no exception! 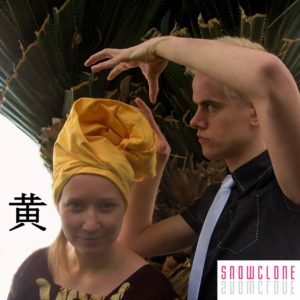 Snowclone is a Finnish duo that produces pop music with a strong Nordic flavor. The band was founded in 2007. It consists of Anna Sipilä, a vocalist with a unique voice that grants Snowclone its signature sound, and Tero Aalto, who takes care of all the rest. 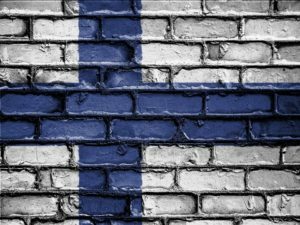 Tero is a language technologist who has been writing songs for over two decades, not only for Snowclone but also movies, theater etc. Recently, he has been focusing more on other arts, especially dancing, musicals and movies as well as working on two upcoming novels. Tero’s first HCSC was back in 2002, and since 2011 he has participated every year. I Want You (Out Of My Life) was originally written in 2011 for the Finnish Eurovision preselection of 2012. The idea was to do something poppier, lighter than what Snowclone had become known for. Unfortunately though, 2012 happened to be the year Uuden Musiikin Kilpailu (UMK) was introduced, and the first seasons especially shunned everything mainstream or eurovisiony. However, the song remained a colorful spot in Snowclone’s music and was later included on the band’s second album “Radical Simplified Yellow”. The story of I Want You is very simple, especially by Snowclone’s standards. The protagonist has been stuck in a lukewarm relationship for too long and is finally realizing it isn’t going to go anywhere and “nice” just doesn’t cut it. It’s over now, my dear… oh!